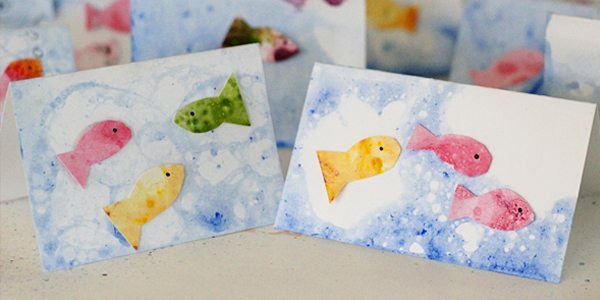 What’s more summery than a bunch of fish swimming in some frothy waves? 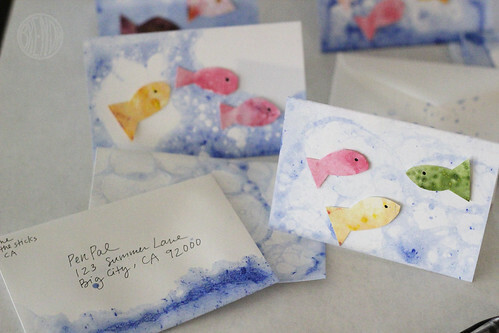 With some soap and some paint and a lot of hot air you can make these really cute cards too. 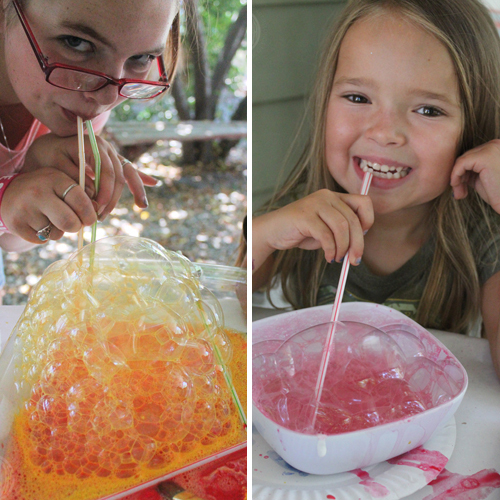 First you need to make your bubble solution. 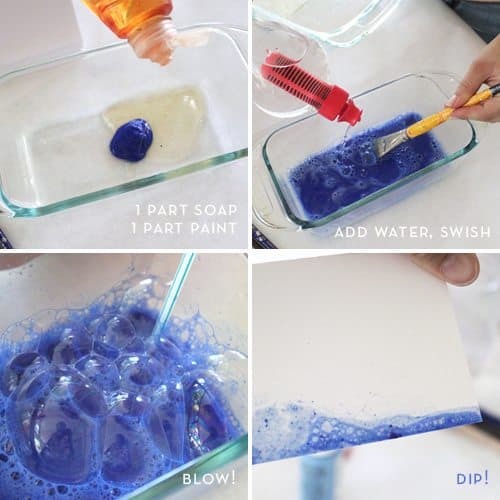 This is really easy and you can tweak your concoction any which way to make the most bubbles but a good start is 2 tablespoons of paint, 2 tablespoons of regular dish-washing soap and about a cup of water. We didn’t really measure. 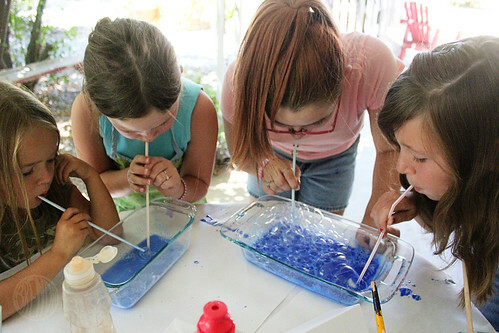 You just need enough water to be able to blow bubbles in. 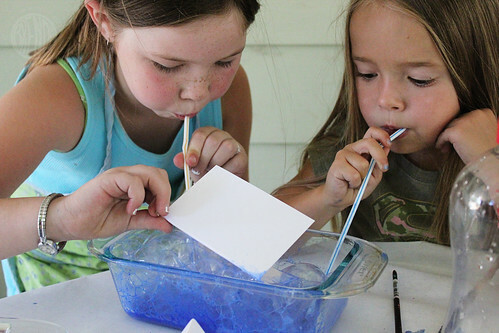 We started with blue because we wanted to make a frothy ocean for our bubbly fish to swim in. 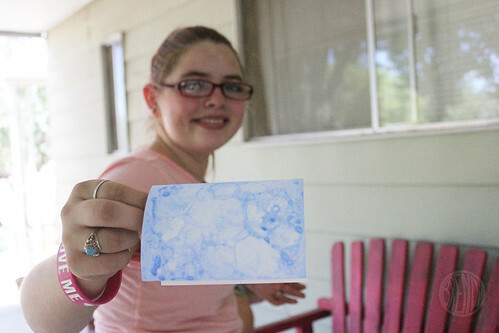 Once you have a lot of bubbles, take your card and catch as many bubbles on the front of the card as you can. 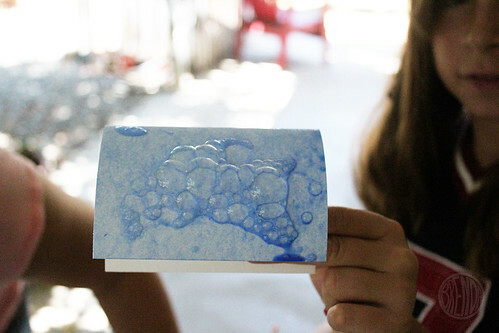 The bubbles will pop on the paper and create really interesting circle patterns. 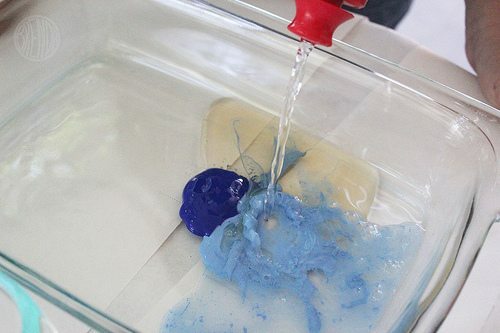 The more paint you have in your solution the darker your bubbles will be. Repeat until you are satisfied with your ocean scene. When it’s wet it will look like the card above. When it’s dry it will look like the card below. Pretty neat, right? 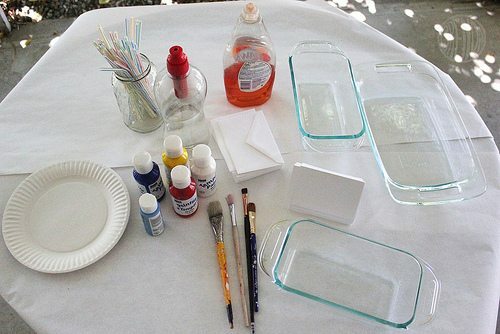 Now set them aside to dry completely and get started on making your color solutions for the fish! 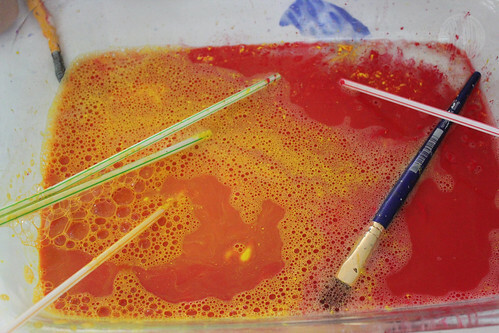 Just remember, even though the paint might look tasty, don’t drink it! 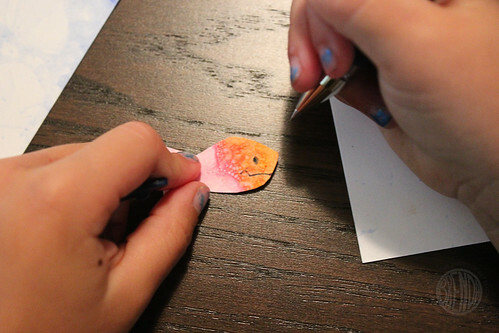 We used the scraps from cutting the cards for making little cards that the fish will be cut from later after it dries. 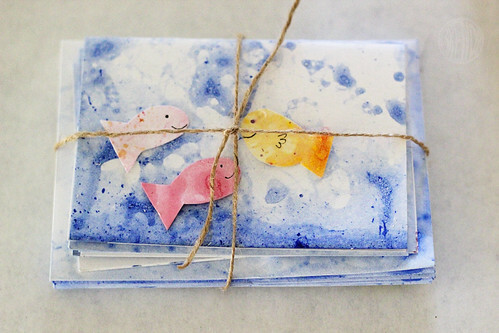 Once everything is dry, cut little fish shapes and feel free to embellish with eyes and smiles. 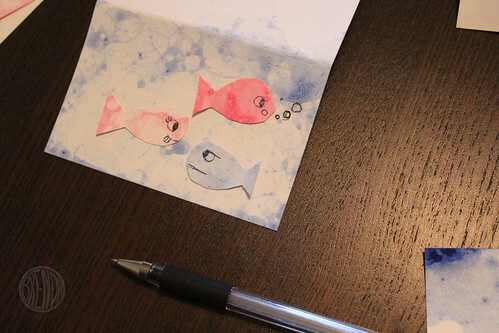 Then glue your fish onto your cards to create a fun ocean scene. Or package a bunch up and give away as a gift! How adorable! My son might be ready for this. 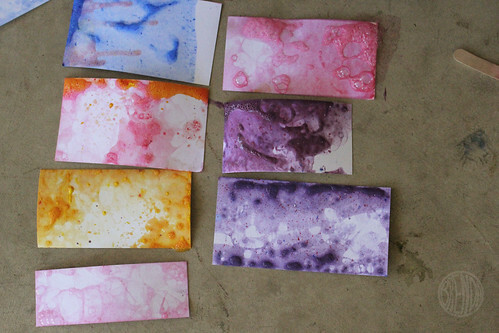 Must check if I have non-toxic paint.